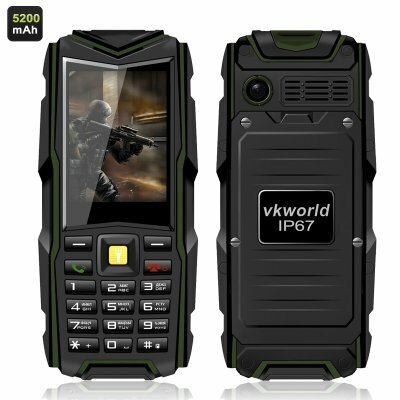 Successfully Added VKworld Stone V3 GSM Phone - IP67 Waterproof Rating, Dual SIM, 2.4 Inch Screen, 5200mAh Battery Power Bank, Bluetooth (Green) to your Shopping Cart. 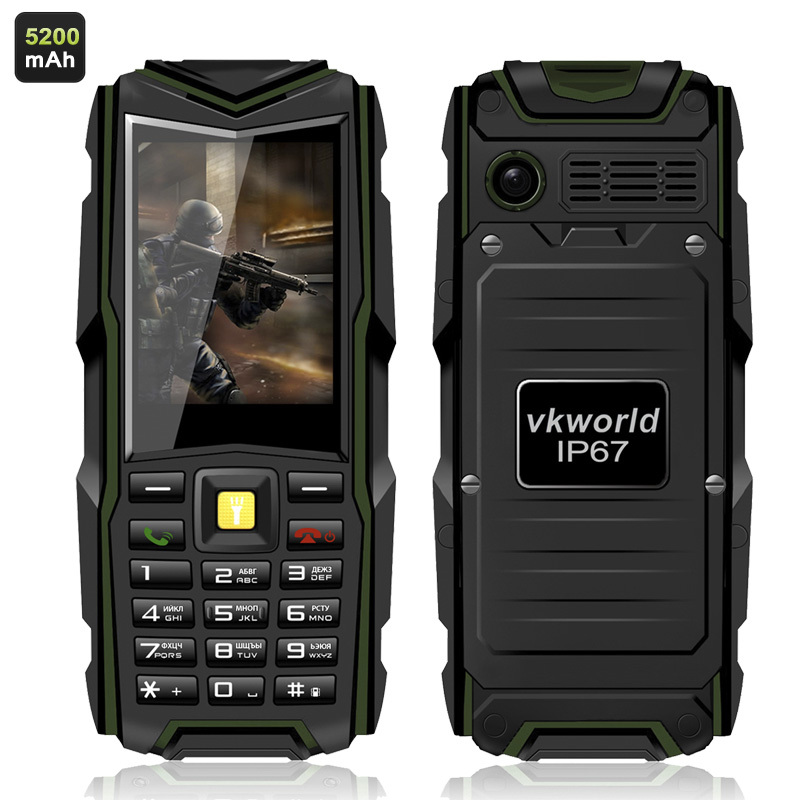 The VKworld Stone V3 GSM Phone comes with IP67 waterproof rating, 2 SIM cards, compact 2.4 inch screen and doubles as a power bank. A massive 5200mAh battery not only lets this phone offer you up to 72 hours of continuous usage time, but also makes it a portable power bank for your other gadgets. Moreover, the phone comes with IP67 rating and is waterproof for up to 1 meter and is totally dust tight. So, whether you are taking along on the beach or even going for a swim, the sturdy phone can follow you anywhere and come out unscathed. The GSM phone comes with two SIM cards and lest you stay in touch with the rest of the world no matter how far the adventured take you. The phone also features Bluetooth 4.0 and ensures easy communication with other devices. You will even be able to take quick pics with the phone’s 1.2MP camera and entertain yourself by listening to the FM radio. When it gets dark, you can use the phone’s mini flashlight to guide your way. You can quickly expand the phone’s internal memory by adding a micro SD card (up to 8GB). The 2.4 inch screen will let you easily read all your messages and is not as vulnerable as a large smartphone’s touch screen. The VKworld Stone V3 GSM Phone comes with a 12 months warranty. Brought to you by the leader in electronic devices as well as wholesale rugged GSM phones..